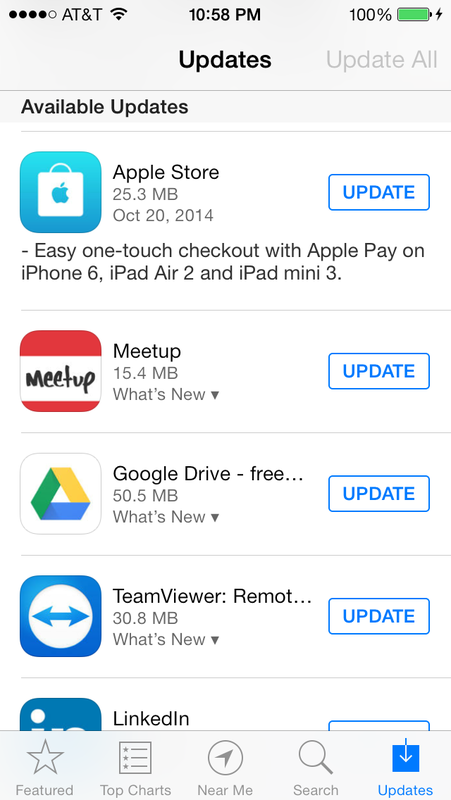 Change in iOS 8 affects AppStore in iOS 7 | Awaisi, Inc.
iOS 8 has rolled out to all iPhone users. There are a few folks who have not updated and remain on iOS 7.x. Those folks have encountered a new behavior in the App Store. 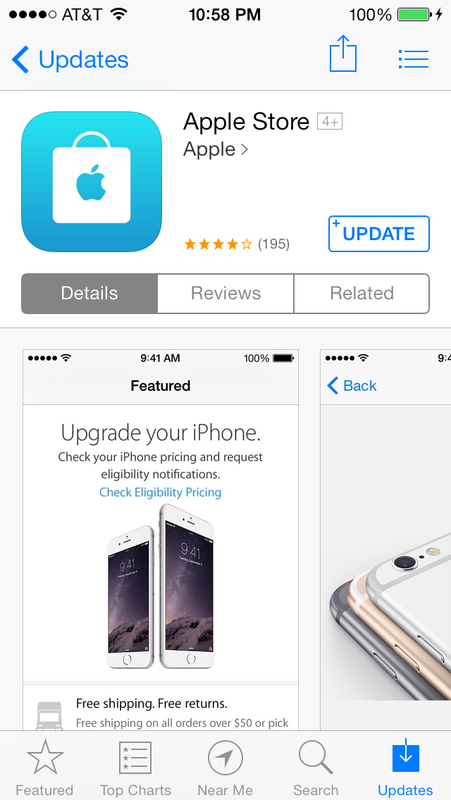 When viewing a list of applications to update, the “Install” button does not install, but rather, opens the app in question. Also, in some places, the text label of the “Install” button now says “Get”. It looks like this is geared towards iOS 8 users. It would look like iOS 7 users are stuck and can no longer update their app anymore. After all, the “Update” button now opens the app and the “Update All” button is greyed out. Fear not. There is still a way to update your apps. While the “Update” button does not work correctly in the list of apps to update, you can open the detail for each app and press the “Get” button for each app one by one. You can update all of your apps in this manner.